Finance Costs > How Much Does Publix Charge to Cash a Check? How Much Does Publix Charge to Cash a Check? Publix is a chain of grocery stores that allows their customers to cash checks by accepting personal and employer checks. This is not only convenient for their customers, but also for the store. It is a hassle-free process for customers to cash their checks and shop in the store afterward. How much does it cost to cash a check at Publix? Checks that a customer can cash at Publix will be limited to personal and employer checks only. Other checks, such as rebate and tax returns, are not accepted at any branches. At some stores, a maximum of $75 on personal checks is what a customer can cash; however, this varies with the store and the money available at hand, meaning that some of the store’s branches can cash larger amounts. 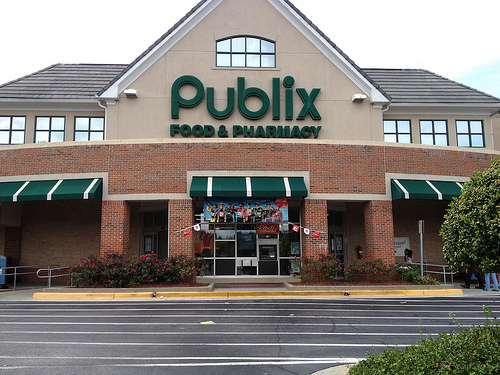 Typically Publix will charge a check cashing fee of $3 to $6 to cash a check at any of the stores, with a limit of $75 on personal checks; but again, this could vary when it comes to employer checks that have a larger figure. As for payroll checks, most customers have claimed they were able to cash checks that were up to $500. According to Publix on Facebook, they state that they will cash personal checks up to $75, and the maximum amount will vary from store to store depending on the amount of cash that they have on hand. If you were to purchase a reloadable debit card to deposit the check that you cashed at Publix, you might have to pay deposit fees. You also might have to pay maintenance fees if you choose to put that money on a debit card. All reloadable debit cards have its own fees, so refer to the fine print to understand the fees you may be charged. In order to cash a check at Publix, you must provide them with a photo identification. This can include your driver’s license, military identification or a state-issued I.D. Different customers have reported that the stores, at times, do not honor what their signboards indicate the maximum amount they can cash. If talking to the customer care or the brand manager does not sort out the issue, simply ask for the corporate number. Two things happen at that time. Your check will simply be cashed or they will give you the number. The latter rarely happens. As stated above, Publix will not cash refund checks, rebate checks, personal checks written by another party and deposit checks from utility companies. Before heading to your local Publix, call up them up to see what their limitations on. By getting the information ahead of time, this will save on a trip if they will not be able to cash your check. Consider opening up an account at your local bank or credit union to save on check cashing fees. It’s free and only takes minutes to do. If you want to cash your check at a local grocery store or place that charges a cash checking fee, it is ideal to compare rates with a handful of retailers in town as Publix isn’t the only retailer that’s able to cash a check.